Dr. James E. Scapillato holds undergraduate and dental school degrees from Loyola University Chicago. 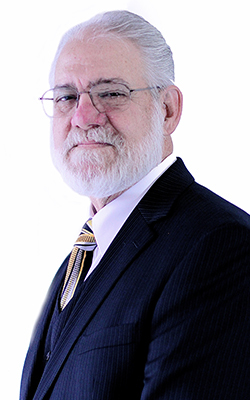 He entered full-time private practice in Oak Park, IL in 1973, where he continues to treat patients of all ages. Early in his career, Dr. Scapillato expanded his practice to include hospital dentistry; he treated special needs patients at Illinois Masonic Medical Center Dental Clinic in Chicago. His time collaborating with Illinois Masonic lasted about two years, and this experience still resonates in his daily practice. Many facilities and individual households with both physically - and mentally - challenged persons are regularly referred to him for treatment to this day. Dr. Scapillato's professional experience has also extended into training of future dentists. During the 1980's he taught “Dentistry for the Special Needs Patient" at the General Dental Practice Residency Program at Loyola University Dental School. Dr. Scapillato addressed in-hospital dental rehabilitation for both patients with special needs and those requiring to be dentally healthy prior to being placed on the heart transplant list. Dr. Scapillato and his wife of 40+ years have four children that are now all married, and the family has grown to include four grandkids. Outside his dental practice, Dr. Scapillato enjoys outdoor activities, attending sporting events and spending time spoiling his grandchildren.